Iceland are the only Nordic country to have never won the Eurovision Song Contest to date. However they are the second most successful nation to have never won the Contest, finishing 2nd on two occasions in 1999 and 2009. They have also participated almost every year apart from two occasions in 1998 and 2002 (both due to relegation). Traditionally Iceland have sent their entries in English after the national language rule was abolished in 1999. Iceland made their Eurovision debut in 1986 after broadcaster RÚV finally setup their satellite links with the rest of the EBU network. Their debut entry was “Gleðibankinn” performed by the group ICY, finishing in a lowly 16th. Iceland spent the rest of the ’80s near the bottom of the scoreboard, finishing the decade at a low point in 1989 by finishing last with Nul Points. The new decade began with Iceland breaking the top 10 (and the top 5) for the first time in 4th place, with Stjórnin performing the song “Eitt lag enn”. For the rest of the decade they had a run of mostly midtable results. In 1999, Iceland found themselves fighting for the title with the song “All Out of Luck” (performed by Selma), but in the end had to settle for 2nd place. Regardless, it was still their best result by far at that point. 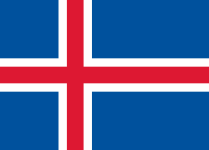 In 2001, Iceland found themselves in last place, and consequently were relegated from taking part in the 2002 Contest. A top 10 result in 2003 earned them an automatic place in the next year’s Final, when the Semi-finals would be introduced. However in 2004, their poor result meant they had to qualify from the Semi-finals the following year. During the era in 2004-07 with the single Semi-final format, Iceland failed to qualify every single time. The first time occurring in 2005, when former entrant Selma unexpectedly failed to qualify with her second Eurovision attempt “If I Had Your Love”. When the Semi-final format was revamped in 2008, Iceland finally qualified to the Final for the first time with the song “This Is My Life” (performed by Euroband). In 2009, Iceland had to settle for 2nd place once again, this time with the ballad “Is It True?” performed by Yohanna, which scored the highest number of points in the country’s Eurovision history. Since then, Iceland have kept a very good qualification record, only having one non-qualification in the two-semifinal era in 2015.